This seminar-workshop aims to provide parents, caregivers and professionals with different approaches on how to teach persons with autism (PWA) adaptability to daily family activities, routines, chores, and other functional activities in the home setting. Acquired valuable skills can support the PWAs toward self-reliance. Home Management Program is created to meet the specific needs of the PWA at home and eventually in the community. Ms. Rosalyn Marie Gison Sorongon earned her BS Psychology degree from the Assumption College, Makati City and Master’s Degree in Education Major in Special Education from the University of the Philippines, Diliman, Quezon City. Teacher My has been teaching persons with autism (PWAs) and helping their families cope with this condition for more than a decade. She regularly conducts orientations and trainings to parents and professionals on autism. 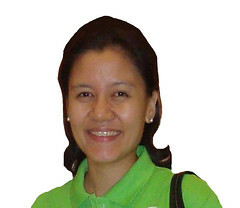 A member of the Education Committee of Autism Society Philippines (ASP), she has been actively involved in ASP’s projects on “Early Detection and Early Intervention on Autism” as a trainer and, as story writer for the “Educating Children with Disabilities of their Rights Using Digital Talking Books”. T. My also finds fulfillment in her role as a regular facilitator of SibsCamp, a support group for siblings of PWAs, as a result of her post graduate research entitled “The Concerns of Adult Siblings of Persons with Autism”. Pre-registered participants may pay to Autism Society Philippines, Metro Bank, Kamias Branch Account # 047-3-04751874-2. Please fax the deposit slip with the name/s of participant/s to ASP office and bring it on the day of the seminar. On-site registrants will not be accepted. To maximize learning and participation, this seminar-workshop will only accept 22 parents of children with autism. No refund will be given to participants who did not show up on the date of the seminar. For more details, please call ASP at 9266941/9298447.